High degree of safety – eg. Safety interlocks stops machine in case doors are opened. Better control over process parameters by usage of latest PLC base control system. 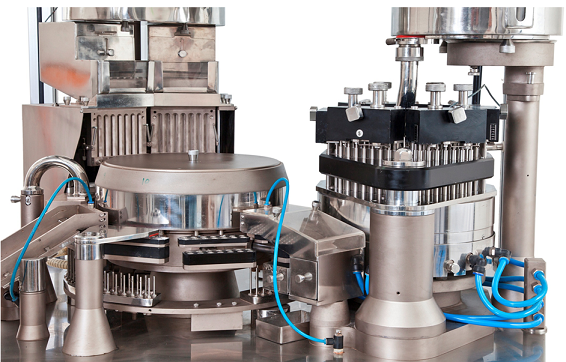 Easy and fast changeover from size to size or formulation to formulation. Automatic shut off on malfunction with visual display to identify the fault. 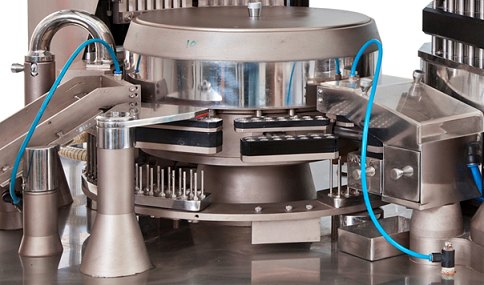 GMP Capsule Filling Machine with 12 -Station Fully Automatic & Powder filling by Tamping Process. Validation IQ/ OQ / DQ available upon request on chargeable basis. 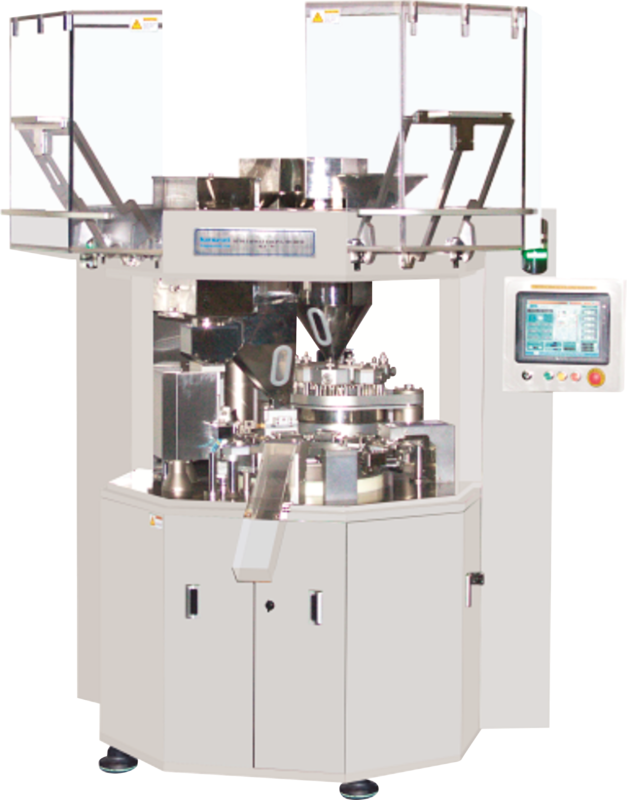 Accurate powder dozing, Adjustable Filling weight by Tamping Pins, Easy in Operation & Speed Adjustment by PLC / Touch Type MMI with swing arm & variable frequency Drive. Geared Motor Drive with Safety Clutch & Elect. Brake inbuilt. Sensors provided for powder level & Capsule Hopper. Safety limit switches for Upper Guards. Powder Feeding by screw Feeding through hopper to Dozing Drum. Machine supplied with Vibration Mounts below structure. *The output mentioned is based on the capsule quality, standard formulation types and operator skill and maintenance. Note: KEL reserves the right to change technical specifications, design and colors of the machine without prior notice.